The Momentum stereo ampliﬁer delivers the extraordinary sound quality of the Momentum monoblock in a more affordable stereo design. The circuit topology and construction of the stereo ampliﬁer mirror those of the monoblock, using the same ultra-efficient copper heat sinks with venturi cooling, the same 1% metal-film resistors, the same 69 MHz output transistors and the same fully complementary balanced configuration. 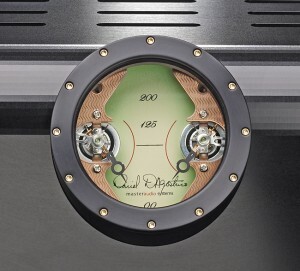 The result is audio fidelity equaled by no other ampliﬁer—except, of course, the Momentum monoblock itself—and an efficient design that consumes less than 1 watt of power at standby. 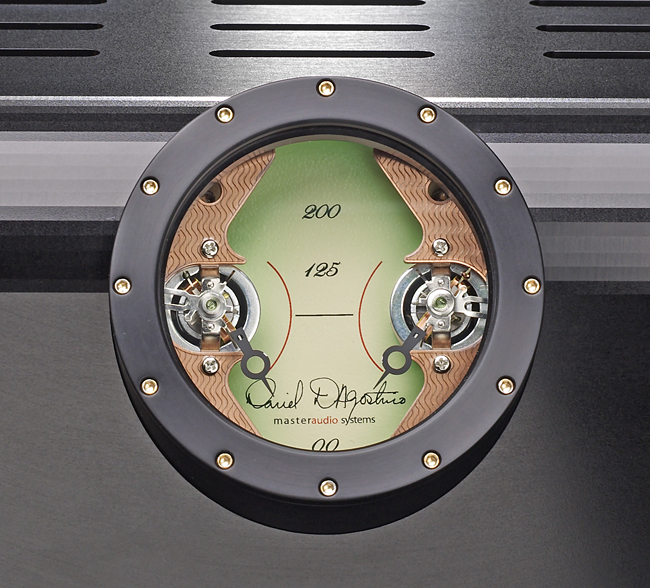 The distinctive power meter from the monoblock makes an encore appearance in the stereo ampliﬁer, with a separate indicator needle for each channel. 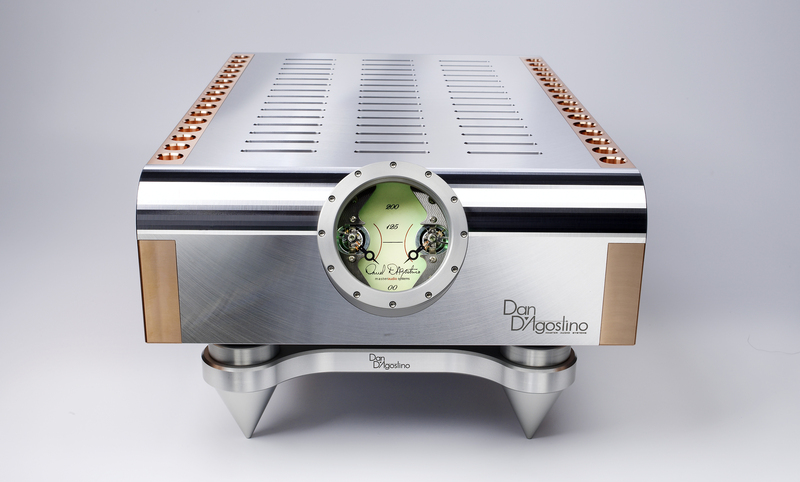 Like the monoblock, the stereo ampliﬁer uses through-hole construction and is hand-built and individually tested in D’Agostino’s Arizona facility. 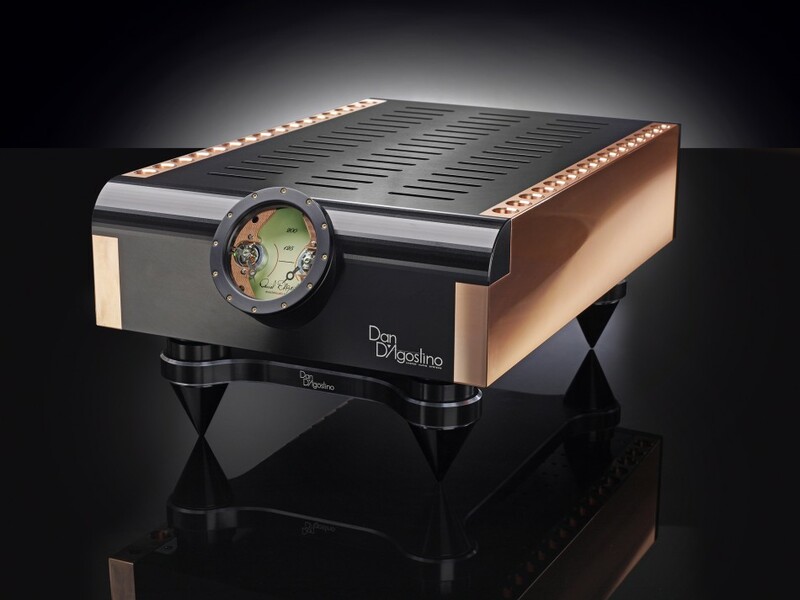 Owners of the stereo ampliﬁer who wish to upgrade to dual monoblocks can do so easily and affordably, because the stereo amp can be refitted by D’Agostino for mono operation. 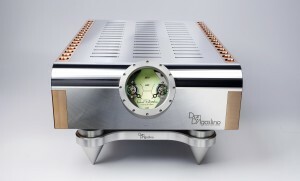 The resulting amplifier will be identical to a factory-fresh monoblock ampliﬁer.